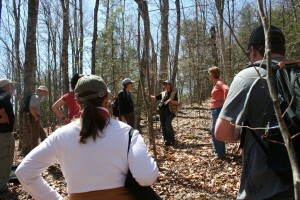 Ecologist Tii McLane leads a field session at UVLT’s 2013 Naturalist Training Program. 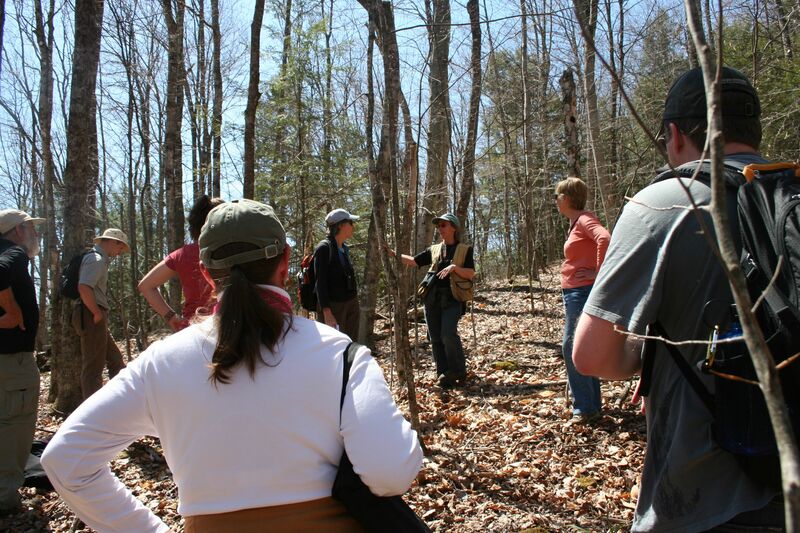 UVLT’s Upper Valley Naturalist Training will return in spring 2014! UVLT will team up with Hulbert Outdoor Center and other local groups to present a four week training on nature in the Upper Valley. Expert presenters will give Thursday evening classroom presentations and weekend field sessions on topics like plants, birds, mammals, geology, forest and wetland ecology and interpretive techniques. Planning is still in progress, but the training is scheduled to begin with the first evening classroom presentation onÂ Thursday, April 24thÂ and will conclude with the final field session onÂ Saturday, May 24th. Registration will open soon, so check back in the near future for more details and registration information.